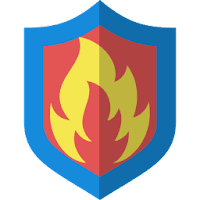 Free Firewall is a full-featured firewall that protects you against all Internet threats. Free firewall aim to provide a professional alternative for the Windows built-in firewall. It let you control every program on your computer by permit or deny access to the Internet. Free Firewall will notify you if applications want to access the Internet in the background, without your knowledge. Furthermore, Free Firewall provides features to protect your privacy against attackers. Prevent that tracking services on web sites analyze your surfing habits. The firewall prevents calls to statistics and analysis services on Internet pages, which log the user behavior in the background. Translation in russian, korean and brazilian portuguese. Small acceleration of displaying notifications. Error in starting the firewall on Windows 7 SP0. Translations were not displayed correctly. Bugfix of connection to the firewall failed error. Disclaimer: Direct downloads for the lastest version of Free Firewall 1.4.9.17123 are provided by the official software's author, we can't guarantee safety, availability or download speed. Moreover, we don't and we won't provide any pirated/illegal versions or tools. We recommend you to avoid it as these methods can harm your device. If you like the software, buy it to support the developers. (We provide software discounts for many worldwide brands).